Achievements: Kudu was our first big winner, a Grand Champion and Multi BIS/RUBIS at 2 years of age. 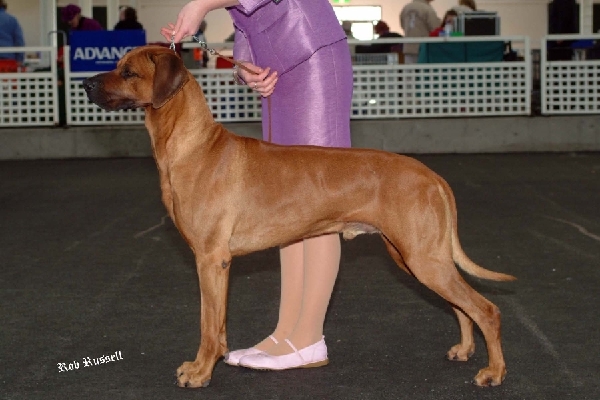 He was #1 Ridgeback in Australia 2006 and 2007. Kudu won BIG at Hobart Royal and 3rd in Group at Adelaide Royal as well as BIS at the Hound Club of Victoria 2004. 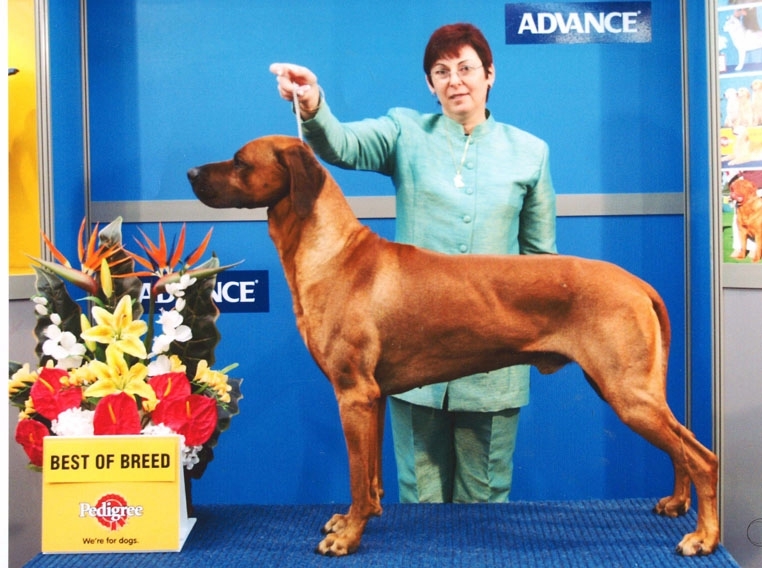 Sire of Ch Skiska Ginger Whinger and Grand Ch Skiska Ginger Harbinger (WAs top Ridgeback 2009/10). At 9 years of age Kudu developed Spondylitis and after a short illness it was a very sad day when we said goodbye to this gentleman of the breed. He will remain in our hearts forever and he lives on in his children and grand children.